Toyota Kirloskar Motor has been launching its way to the bank due to the stellar success that Innova Crysta has been. In spite of being considerably costlier than the last-gen Innova, this new-age MPV has appealed to many due to its modern looks, excellent engines, decent dynamics, and Toyota’s high reliability. The company has now silently launched an updated version of the Innova Touring SPort. The new model commemorates the model’s first anniversary in the country. The new 2017 Toyota Innova Touring Sport gets additional features along with a six-speed manual transmission for the Diesel model. Prices start at Rs 17.63 lakh. New features on offer include 17-inch black alloy wheels that replace the 16-inch ones and an idle start/stop feature for the Diesel model. Other new features include LED fog lamps and built-in navigation system. The new model is available only in the seven-seat layout. 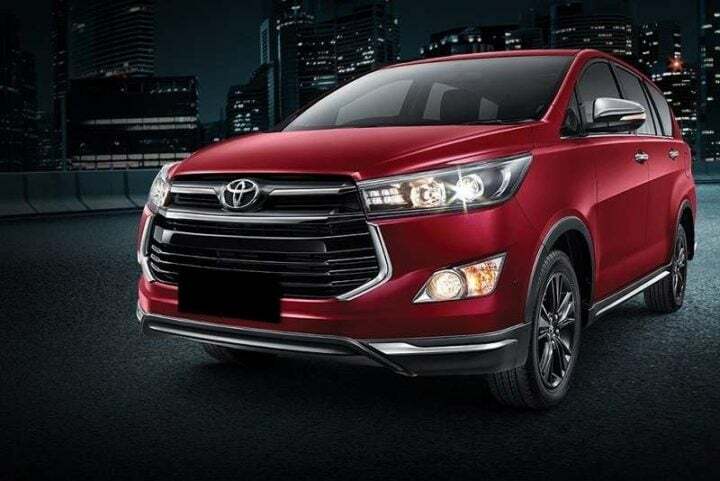 The car gets bespoke ‘Wine Red’ shade and the new 2017 Toyota Innova Touring Sport comes with a black body cladding to make the car look different from the Crysta models. The car gets a generous serving of chrome on the front bumper, grille and ORVMs. The interior gets a matte black upholstery for the captain seats. Other than the introduction of a 6-speed manual transmission for the Diesel model, there is no change in the specifications of the MPV. The Touring Sport body style comes in only VX and ZX trims. However, it provides you an option of opting for either a petrol or a Diesel engien. The 2.7 VX MT and 2.7 ZX AT have an ex-showroom price of Rs 17.63 lakh and Rs 20.46 lakh respectively. The Diesel model comes in two guises- 2.4 VX MT and 2.8 ZX AT. It is the former that gets a new 6-speed manual transmission. It has an ex-showroom price of Rs 19.60 lakh. The 2.8 ZX AT model costs Rs 22.14 lakh. The launch of the new Touring Sport 2017 takes place just ahead of this year’s festive season. Thanks to the increase in sales of new cars during this time of the year, the updated Innova should witness even better sales. We feel that the slight increase in price will be totally justified through the addition of features. 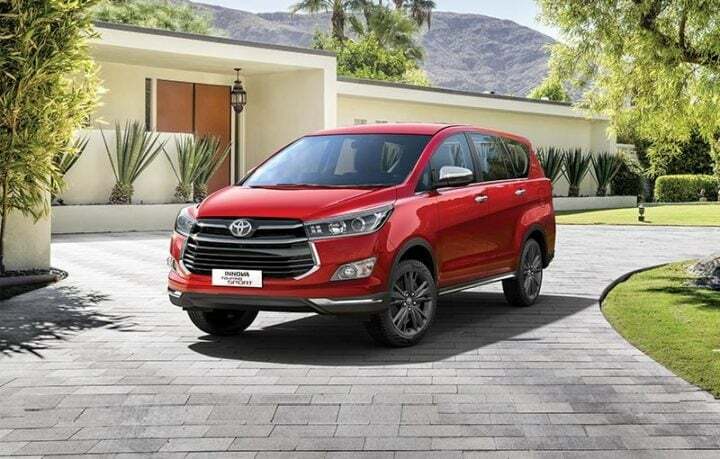 The Toyota Innova Touring Sport has been available with two Diesel engines – a 2.4-litre turbocharged, four-cylinder unit and a 2.8-litre, turbocharged four-cylinder motor. While the smaller of these engines outputs 150 PS, the 2.8-litre unit produces 174 PS. Peak torque is rated at 343 Nm and 360 Nm for the 2.4-litre and 2.8-litre engines respectively. While the 2.4-litre engine comes mated to a new 6-speed manual transmission, the 2.8-litre unit continues to offer a 6-speed automatic. The petrol model continues to come with a 2.7-litre Dual VVT-i petrol engine. This motor is available with a 5-speed manual and a 6-speed automatic transmission. There has been no change in the specifications. The VVTi-equipped petrol engine continues to produce a maximum power of 166 PS and a peak torque of 245 Nm. There has been no change in the mileage of the Touring Sport. While the 2.4-litre Diesel engine offers a max. mileage of 15.10 KMPL, the 2.8-litre unit offers up to 14.29 KMPL. The 2.7-litre petrol engine offers around 9.89 KMPL with the manual transmission and around 10.83 KMPL for the automatic. There isn’t any change in the dimensions of the new car. The latest update only brings in additional features along with a 6-speed gearbox for the Petrol variant of the Crysta Touring Sport. The latest version of the Touring Sport isn’t too different from the one it replaces. Even if you compare the Touring Sport with the Crysta, there’s not much that’s different between the two models. Both the MPVs get the same design and dimensions. However, the latest version of the Touring Sport gets a host of small styling updates that make it look slightly more attractive. The black body cladding, black inserts, and generous usage of chrome makes this model look more premium than the Crysta. The new 17-inch black mag wheels are really stylish and make the vehicle look sportier. The exclusive ‘Red Wine’ colour scheme makes it all even more special. As the overall design and diemsnions remain the same as those of the Crysta, there is absolutely no change in the interior space. The only difference is that the 2017 Toyota Innova Touring Sport edition comes in a seven-seat format only. The interior gets a black treatment, which very well compliments the red exterior paint. As it is based on the high-end VX and ZX trims, the new special edition offers all the features that are available on these trim levels of the Crysta. Additionally, the new car gets an updated touchscreen infotainment system with satellite navigation. What are your thoughts on the new 2017 Toyota Innova Touring Sport? Share your views with us by penning them down in the comments section below. Also, stay tuned for latest news on cars and motorcycle sin India.